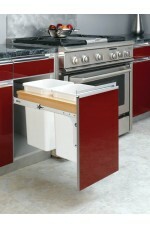 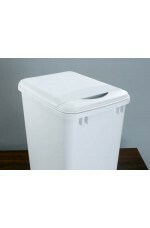 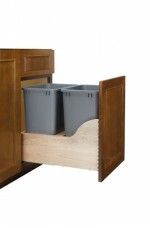 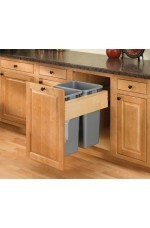 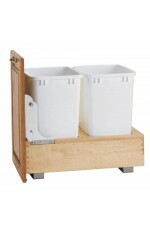 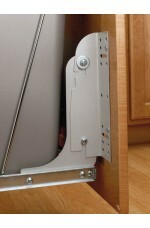 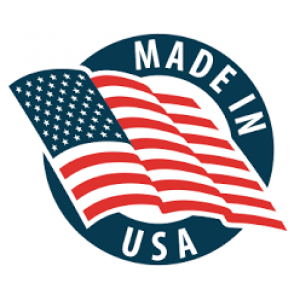 For situations that need more than one trash can, Rev-A-Shelf offers the double pullout Waste Cont..
Made from solid wood (maple) construction, the Top Mount Pullout Waste Containers are designed for..
Made from solid wood (maple) construction, the Bottom Mount Pullout Waste Containers are available..
It’s all about the smooth sliding system with the 5349 Series. 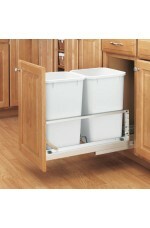 This assortment of single and doubl..
Rev-A-Shelf’s ground breaking Soft-Open/Soft-Close Rev-A-Motion™ waste containers are now availabl..
All RV Series Waste Containers and HPRV/HRV Hampers can be attached to the cabinet door for an eas..
Rev-A-Shelf is now offering flip-up lids for our most popular waste containers. 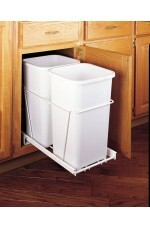 They are available..